Sitting pretty on the access road to Lisbon's Saint George Castle, on top of one of the city's famous seven hills, this artsy hotel was terrific views over the River Tagus. Staff are helpful and super-attentive, and there's a terrace where guests can enjoy petiscos (the Portuguese version of tapas) while taking in the astonishing view. 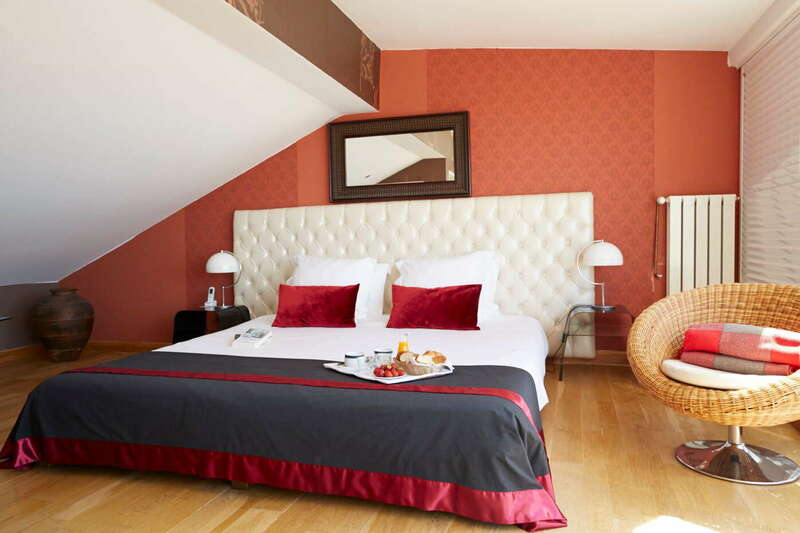 It's comfortable rather than luxurious, but what it lacks in upscale amenities it more than makes up for with its sense of place and prime location within walking distance of all the major sights of Lisbon's historic center. YOU SHOULD KNOW This is a listed building in a hilly location--there's no disabled access, and children under 12 are not permitted. 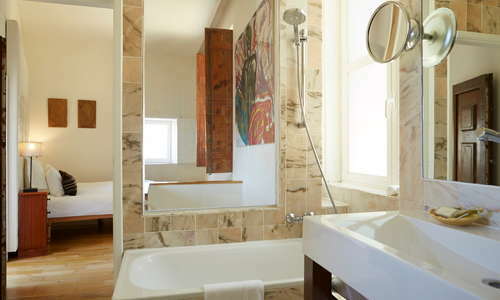 Each of the 13 rooms and suites at this hotel is individually designed and reflects the tastes of the artist owner. 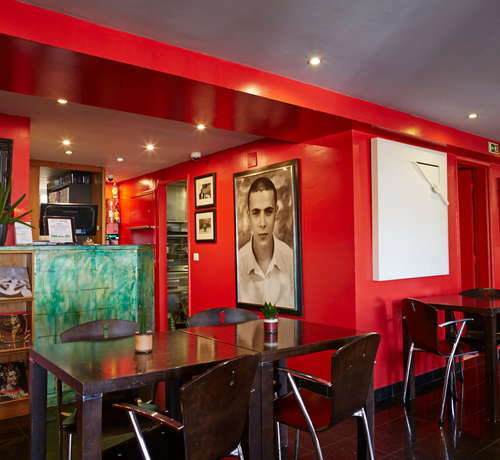 Decor is bright, the vibrant walls are hung with one-off pieces of art, and the furnishings carefully were chosen. All rooms and suites have amazing views--some take in the castle, others the red roofs and the river. The best views take in the shimmering Tagus, the 25 de Abril suspension bridge, and the Cristo Rei statue on the other side. Suites have spacious living areas. All accommodations have private bathrooms, free in-room Wi-Fi, and cable TV. 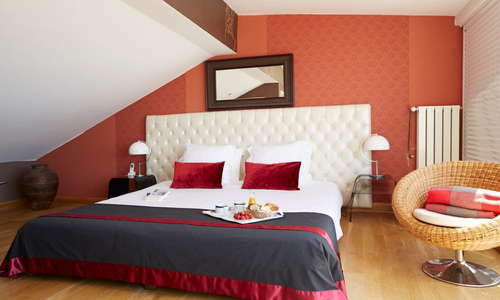 Suites have Nespresso machines, and a good buffet breakfast is included in the room rate. Most rooms have several windows, allowing lots of light and making the most of the great location. 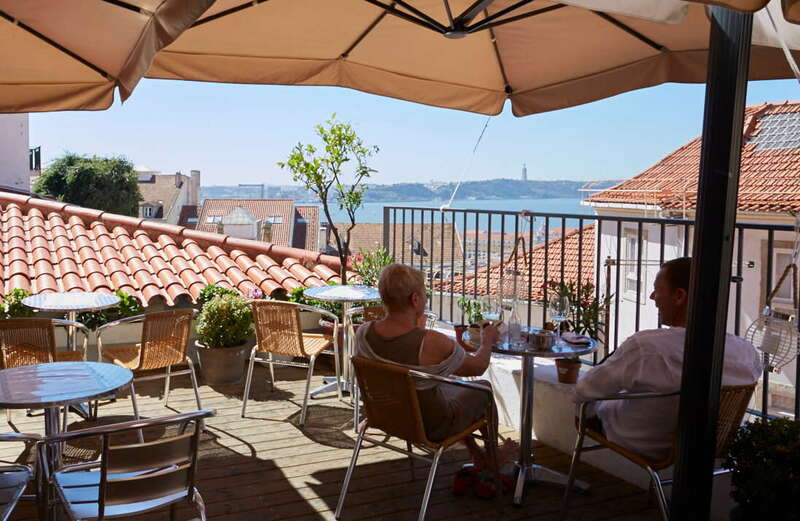 For the best views, request one on the upper floors overlooking the Rio Tejo--those with castle views are slightly cheaper. The attic room is up a flight of stairs and has low ceilings but a private terrace with great views across the city. Bathrooms are tasteful and functional rather than lavish, but equipped with good quality toiletries, robes, and hairdryers. Some have tubs, others are shower only. The owner has made the most of the available space at this listed historic building--artifacts from travels across the world are displayed in the comfortable lobby, and helpful reception staff (24-hour) offer a warm welcome to guests--who may arrive disheveled after lugging their bags up the hill to reach here. There are modern, comfy armchairs for guests to relax in as they catch their breath and staff take the strain by carrying bags to rooms. 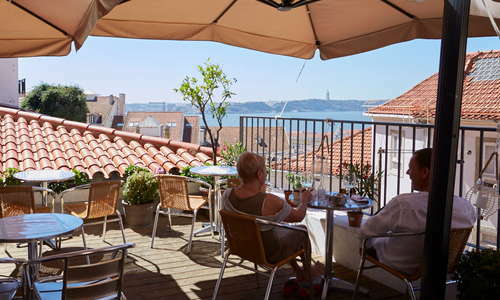 There's no formal restaurant, but the hotel bar serves tasty petiscos (typical Portuguese small plates), served on a terrace with some of the best views to be found anywhere in the city. 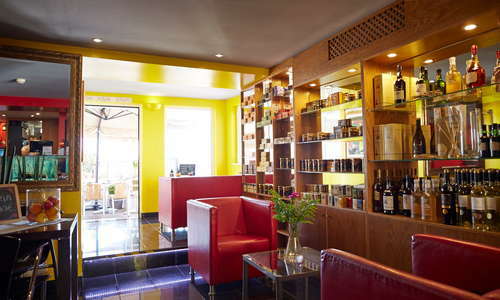 Plan to have pre-dinner drinks and snacks here, rather than a main meal. 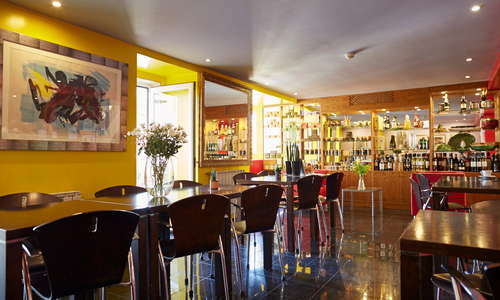 The bar at Solar dos Mouros serves a good range of Portuguese wines and cocktails, and its location on the ascent to the castle attracts climb-weary visitors to Lisbon as well as hotel guests. Whatever your mode of transport, you'll need to walk up a steep slope to reach the hotel entrance. There's no metro here, but buses and trams make their way along the streets, ferrying visitors from sight to impressive sight. Tuk tuk tours are also a popular way to make the steep ascents, but be aware that many locals find them a nuisance. The hotel can arrange walking and tuk tuk tours. The hotel is close to the many cafes, restaurants, bars, and fado houses of the Alfama district. While some are overpriced tourist traps, others offer dining that's memorable in all the right ways. Simple tascas serve fresh seafood, and terrace courtyards abound--offering drinks and snacks with gorgeous views. 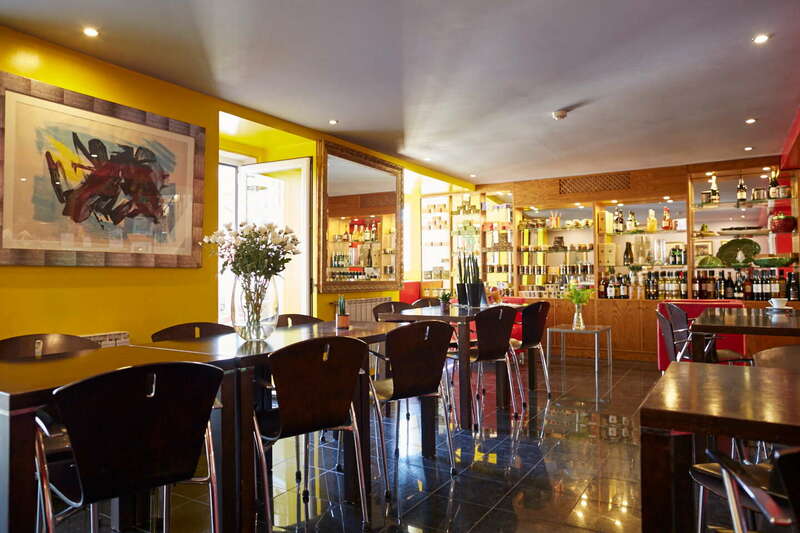 Senhor Fado (11-minute walk) is a good spot for dinner accompanied by talented fado singers, while Casa Do Leão (2-minute walk) serves Portuguese dishes in an elegant setting within the castle walls, accompanied by mouthwatering views. 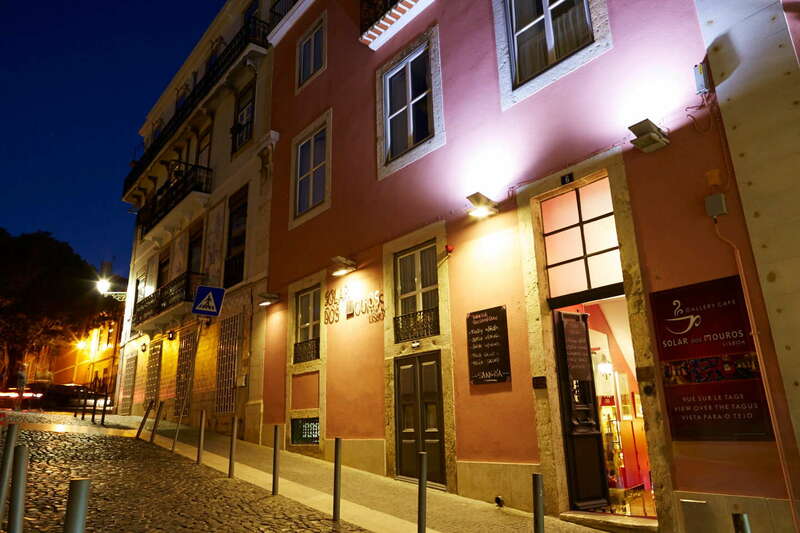 Spots nearby range from the rustic to the contemporary, and it's a short walk from Alfama to both the lively Bairro Alto--with its street party vibe--and the latest contender to its nightlife crown, Cais do Sodre. 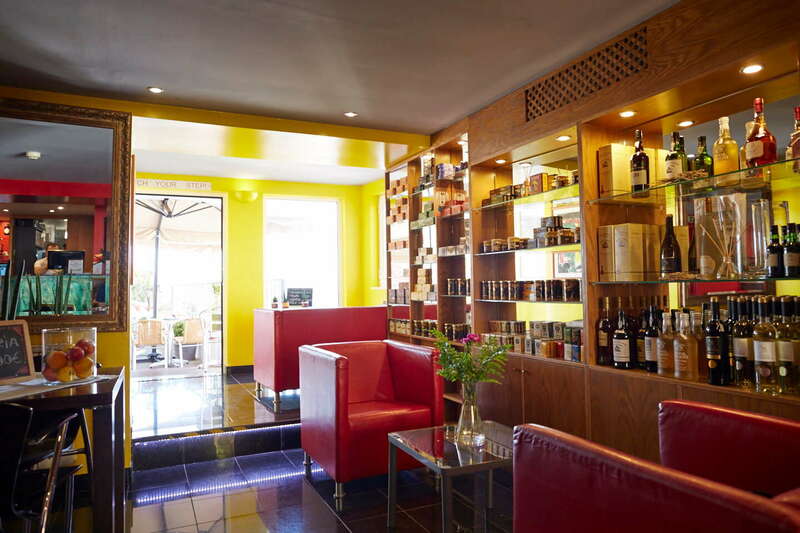 Wine lovers can sample Portuguese vinhos in all their myriad styles and strengths, at Winebar do Castelo (1-minute walk), accompanied by local cheeses. At Topo (10-minute walk) the rooftop of a commercial center makes an unlikely setting for what is one of Lisbon's hippest bars, with an attractive crowd of locals gathering to sip cocktails and soak up yet more glorious views. 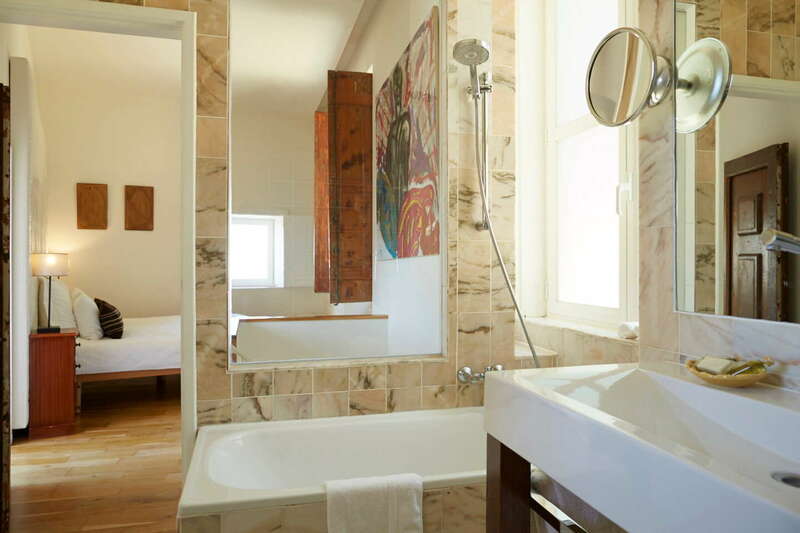 The location at the top of the Alfama district makes for outstanding views, and the unique decor, historic building, and attentive service make a stay here extra special. Alfama is the oldest part of Lisbon--having survived the 1955 earthquake and tsunami that destroyed lower-lying sections of the city--and is a maze of winding streets, each of which leads to a breathtaking miradoura (viewpoint) or building of historic interest. The castle and cathedral are close at hand, and it's a short walk to the sights of downtown--such as the waterfront Praca do Comercio. A Saturday flea market--the feira da ladra--is a major tourist attraction in its own right.